1969 Chevelle Window Front 2 door coupe SS Regulator 100 %Original Driver and Passenger Side available look for other side in my other actions. 1957-70 CHEVROLET IMPALA CHEVELLE NOVA STATION WAGON TAIL GATE WINDOW MOTOR. GM STATION WAGON WITH A POWER TAILGATE WINDOW LIFT MOTOR FOR CHEVROLET IMPALA CAPRICE BELAIR BISCAYNE CHEVELLE OR MALIBU AND NOVA OR CHEVY ll FOR 1965 1966 1967 1968 1969 AND 1970. 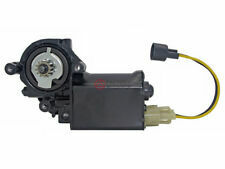 1955-1979 power window motor for any GM vehicle with factory power windows. You are buying the motor that is pictured so double check it is the correct side. Also replaces 1976-1979 square motor only. Power Window Kit Front & Rear Doors W/Black Illuminated Switches, 1970-72 Chevelle & Monte Carlo, Skylark, Cutlass, GTO, LeMans 2-Door Coupe/Hardtop & Convertible. Chevrolet Chevelle & Monte Carlo 2-Door Coupe/Hardtop & Convertible (1970-72). 1969 Chevrolet Chevelle SS left rear window regulator Original. Fits: 1968 1969 1970 1971 1972. 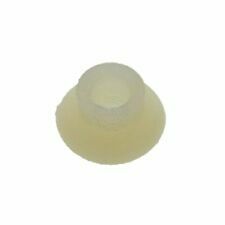 Window Regulator Roller Fits Buick Apollo 74444 Dorman - HELP. Manufacturer Number: 74444. Country of Origin China. UPC 037495744447. Weight: 1 Lbs. Interchange Numbers &nbspGeneral MotorsPart Number: 9666748. Chevrolet Chevelle, El Camino (1964-67). Pontiac GTO, LeMans, Tempest (1964-67). Trending at $75.12eBay determines this price through a machine learned model of the product's sale prices within the last 90 days. 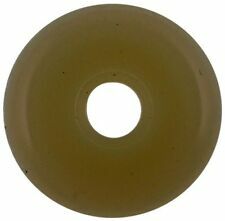 It will fit Buick Skylark, GS, Chevelle, Monte Carlo, GTO, Lemans, Olds Cutlass, 442. The regulators have been thoroughly cleaned and lubed. It does need one nylon roller replaced as you can see in the photos. Fits: Corvette 1955-1967 Right hand 68-79 corvette this is a left hand. 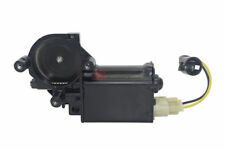 1955-1979 power window motor for any GM vehicle with factory power windows. You are buying the motor that is pictured so double check it is the correct side. Manufactured By Dynacorn . 1968 Chevy Chevelle/ Pontiac GTO. 1968 1969 1970 1971 1972 Chevy El Camino. 1968 ~ 1972 Chevrolet El Camino. 1968 Pontiac GTO. 1968 Chevrolet Chevelle. 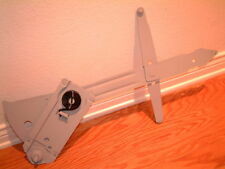 Window Regulator - Pair. 1966 1967 Chevelle / El Camino / GTO. 1966 ~ 1967 Chevrolet EL Camino. 1966 ~ 1967 Pontiac GTO. 1966 ~ 1967 Chevrolet Chevelle. Window Regulator - Left. Manual / 2 Door . Left Side (Driver Side) . 1969 Chevelle SS right rear window regulator & stop. 100%Original. Hi-tech laser cutting is used to ensure the quality finish and fit enthusiasts demand. Pontiac GTO, LeMans, Tempest (1968). Buick Skylark, Grand Sport (1968). 1969 Chevrolet Chevelle. 1973 Chevrolet Chevelle 2dr. 1970 Chevrolet Chevelle. 1971 Chevrolet Chevelle. 1972 Chevrolet Chevelle. 1973 Chevrolet Chevelle 4dr. Notes: Window Lift Motor -- Remanufactured; without Regulator; Gear not Included. Buick Electra 1968-1960. Buick LeSabre 1968-1960. Buick Riviera 1968-1967. Buick Riviera 1968-1963. Buick Riviera 1966-1966. Buick Skylark 1968-1961. Buick Special 1968-1968. Buick Special 1967-1961. Manufactured By Dynacorn . 1969 Chevy Chevelle/ Pontiac GTO. 1969 Pontiac GTO. 1969 Chevrolet Chevelle. Window Regulator - Pair. Pair / 2 Pieces . Manual . We will do our best to fix any issues if needed. BUICK SPECIAL 64-65 manual, 2 Dr, Conv. CHEVELLE 64-65 manual, 2 Dr, Conv. TEMPEST 64-65 manual, 2 Dr, Conv. BUICK SPECIAL 64-65 manual, 2 Dr, HT. TEMPEST 64-65 manual, 2 Dr, HT. CHEVELLE 64-65 manual, 2 Dr, HT. 1969 Chevy Chevelle/ Pontiac GTO. 1969 Pontiac GTO. 1969 Chevrolet Chevelle. Window Regulator - Left. Left Side (Driver Side) . Manual . We will do our best to fix any issues if needed. Replaces OE #: 9666748. Part Number: 74444. Manufacturer Part Number: 74444. Window Motors. Cancelations and Changes. No exceptions. wmlistflag: rfix1. Oil Coolers. Buick Apollo 1975-1973. Buick Century 1975-1973. Buick Electra 1975-1971. Buick Electra 1970-1969. Buick Estate Wagon 1975-1971. Buick Estate Wagon 1970-1970. Buick LeSabre 1975-1971. Every motor is assembled with the precise amount of lubricant to ensure quiet operation and long life. Trending at $103.95eBay determines this price through a machine learned model of the product's sale prices within the last 90 days. Buick Electra 1968-1960. Buick LeSabre 1968-1960. Buick Riviera 1968-1967. Buick Riviera 1968-1963. Buick Riviera 1966-1966. Buick Skylark 1968-1961. Buick Special 1968-1968. Every motor is assembled with the precise amount of lubricant to ensure quiet operation and long life. Part Number: 74444. Warranty Duration:3 Year. 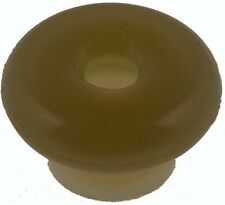 This covers all 1954 thru 1965 GM cars with power windows. 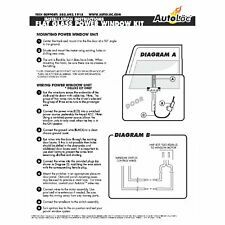 Includes detailed illustrated instructions for power door windows, power vent, partition and tailgate window. Has wiring diagrams, routing schematics, troubleshooting, repair information, bench testing and instructions on rebuilding the motors. For sale here we have a New RH (passenger side) manual window regulator for a 70-72 year model CHEVELLE, SS, Convertible. our #1334210, 752-157. Hi-tech laser cutting is used to ensure the quality finish and fit enthusiasts demand. Buick Skylark (1970-72). Pontiac GTO, LeMans, Tempest (1970-72). Power Window Kit Front & Rear Doors, Without Switches, 1970-72 Chevelle & Monte Carlo, Skylark, Cutlass, GTO, LeMans 2-Door Coupe/Hardtop & Convertible. Chevrolet Chevelle & Monte Carlo 2-Door Coupe/Hardtop & Convertible (1970-72). You are buying One (1) NEW door or quarter window regulator roller / guide window regulator roller. This will fix 2 door models and front door on 4 door models. This roller may fit other vehicles that are not listed.